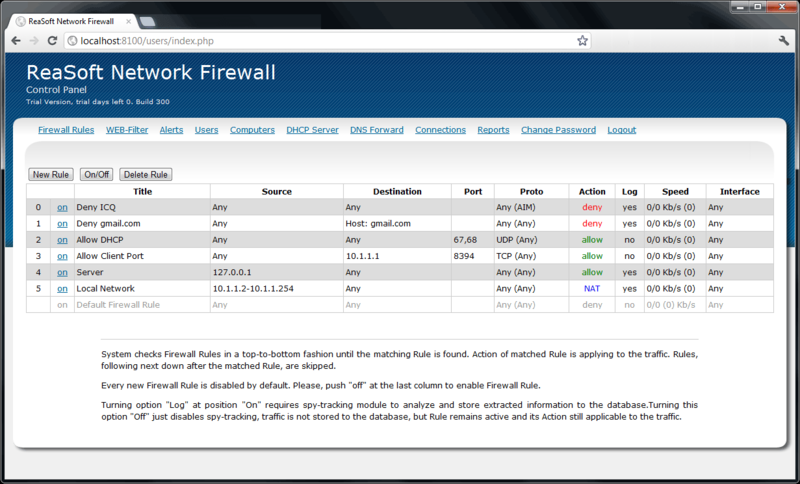 Besides regular firewall functions, ReaSoft Network Firewall is noted for elements of Data in Motion system. Built-in DLP detects and prevents leakage of confidential information through e-mail, web-mail, ICQ, MSN, Internet communities and other similar channels. All HTTP and HTPS POST queries, communications via instant messengers, social networks or e-mails with attachments are decoded by the program and saved for checking.